The 2015 Young Songwriting Summer Camps were an unprecedented success. Thirty kids and over sixty songs were written using inspiration found in nature, urban adventures, artistic explorations and connection with one another. We witnessed kids paralyzed with anxiety upon arrival singing and creating with wild abandon within days. We had several campers who were experiencing a fair amount of turbulence in their personal lives and were able to process their feelings through their lyrics as well as connection with other campers and mentors. Its been truly amazing to watch these workshops and camps take on a life of their own with a minimal amount of guidance and support from adult mentors. I believe the most important thing we provide is a sense of safety and freedom when it comes to self expression. The goal is to write songs but as is the case with all artistic endeavors, it is the journey and not so much the destination that really matters. Parents and campers alike have used words such as “transformational” to describe their experience at songwriting camp. We believe that children are innately non judgmental, creative and have a natural ability to open their hearts and minds to new experiences. Infusing a sense of fun, curiosity and freedom into an activity that requires a great amount of vulnerability and courage ensures that this experience will carry over into many other aspects of their lives. It is our mission to show kids that life is an adventure that requires open-mindedness, an acceptance of uniqueness in ourselves and in others and the ability to express ourselves from the most authentic place possible. In this way, we are able to find true happiness and share our gift with the world. Songwriting Camps and Workshops are mobile and adaptable to many settings and situations such as homeschool communities, after school programs, academic enrichment, private one on one coaching and more. Contact Havilah at havilahrand@gmail.com to explore the possibilities. Has your child been a participant in a Young Songwriters Camp or Workshop or do you have any thoughts you’d like to share? In order to continue building and improving our programs we need testimonials!! Please give us some feedback on how your child benefitted from this unique experience. Thank you in advance!! 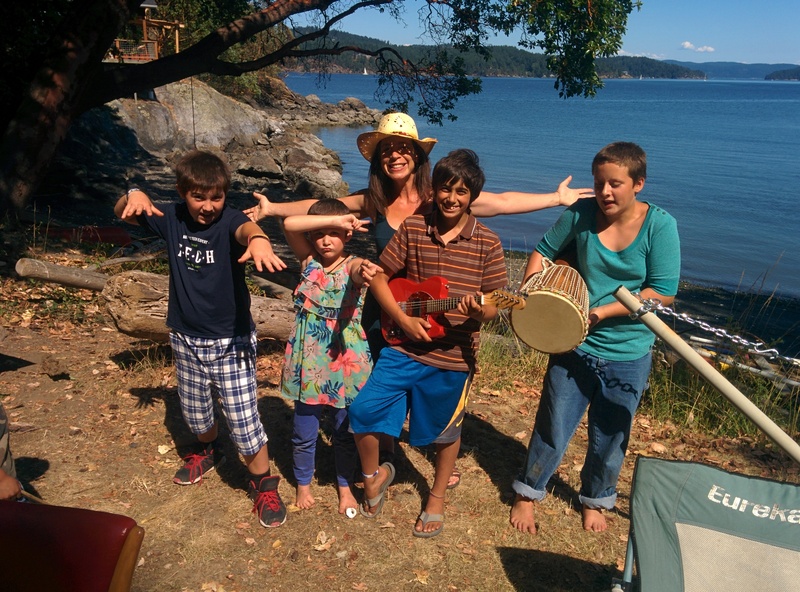 This entry was posted in Classes and tagged authenticity, creativity, inspiration, kids, music, orcas island, outdoors, self-awareness, self-confidence, self-expression, songwriting, summer, summer camps, winthrop. Bookmark the permalink. ← Young Songwriter Summer Camp Encores!! You do such amazing things Havilah! The children are so lucky to have you teaching them! !